City Council's Committee on Licensing and Inspections yesterday voted favorably for a bill that will allow candidates with an out of state driver's license eligible to become bike cab operators. This will open up green job opportunities for new residents, out of state commuters and the City's large student population. The bill which is sponsored by Councilwoman Reynolds-Brown will now go before the full City Council. Other technical changes in the bill include the allowance of electric assist pedicabs which are already used by Velopark and adjustments to liability insurance requirements. 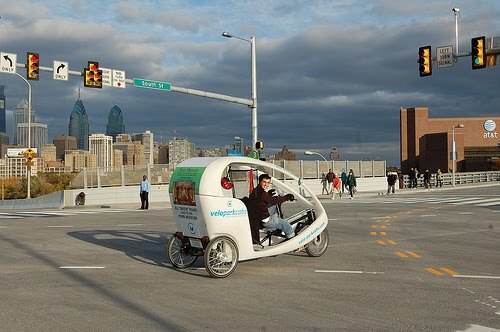 The Philadelphia Bikecab Alliance has been working with the Streets Department and civic associations to expand the territory where pedicabs can operate. Bikecab Alliance members also partner with the Bicycle Coalition's education department to train operators on safety and the rules of the road.